District of Conservation is a podcast highlighting the incredible conservationists who thrive and survive deep in or around "The Swamp." These are the policymakers, storytellers, trailblazers, and hardworking folks who go unnoticed but shape this region—whether they live or work here. In addition to guests, the podcast will also cover difficult and even controversial conservation public policy matters and news. In Episode 29 of District of Conservation, Gabriella invites listeners to hear from Stephen Gutowski of the Washington Free Beacon. He is an NRA-certified firearms instructor and a recipient of a 2018 Defender of Liberty award from Second Amendment Foundation. Why firearms? Excise taxes collected on firearms through the Pittman-Robertson Act help pay the majority of conservation funding that comes from hunters and anglers. Gutowski has written for WFB since September 2014. What sparked his interest in firearms and subsequent interest in reporting on them? A 2009 visit to the range during a media internship. Though he grew up in Pennsylvania, it wasn't until he moved to the Washington, D.C. area Stephen's interest in firearms took form. He noticed there was a serious deficit of gun beat reporters and made it his mission, given his newfound interest in the topic, to help bring fairness to the subject. Now, he's on a mission to not only inform his readers on the latest news and legislation being considered but to ensure mainstream reporters get their firearms facts right. Gutowski, Gabriella argues, is someone industry folks, reporters, and gun owners should follow. Follow Stephen on Facebook, Instagram, and Twitter. Bookmark his articles and send him a tip. In Episode 28 of District of Conservation, Gabriella welcomes Nathan Edmondson of Eco Defense Group to the podcast. Nathan has worked in the entertainment industry and says his involvement in wildlife conservation was necessitated by an urgent need to protect endangered species like the African elephant. The rest is history. Nathan talks about the following during the interview: How he got involved in wildlife conservation and how EDGE was born What EDGE is and why it was started He discussed how EDGE doesn't employ Neo-Colonialism by working with locals to ensure they don't get sucked into poaching The seriousness of anti-poaching efforts The Buzzfeed report on paramilitary anti-poaching troopers World Wildlife Fund contracted out and why their group wouldn't outsource hiring to those they don't vet EDGE initiatives and why Americans should care about conserving endangered species there and domestically How listeners can get involved with EDGE and learn more about the group. EDGE was established in 2017 and is committed to ambitious preservation of African wildlife through protection, innovation and community. Their work spans across South Africa, Namibia and other countries as projects dictate. Their extensive experience on the ground, exclusive access to frontline conservation areas and extraordinary team members — with backgrounds in US Special Operations, entertainment, genetics, business and other fields — make them a radically effective organization. Contact them at edge@ecodefensegroup.org. Support their latest campaign to protect the rhino here. You can learn more about the organization at www.EcoDefenseGroup.org. Follow them on Facebook, Instagram, and Twitter. In Episode 27 of District of Conservation, Gabriella welcomes her dad, Boris Hoffman, back to the podcast. They discuss mountain lions, the Green New Deal, Conservation, gun control, hunting, and their upcoming fishing trips. In Episode 24 of District of Conservation, Gabriella interviews Boris Hoffman— a general contractor and avid angler. Boris also happens to be Gabriella's dad. Boris discusses the following: — How he picked up fishing in Soviet-occupied Lithuania despite not having family interested in it —How central planning destroyed the environment in Eastern Europe —He expanded on Soviet propaganda they fed the populace that capitalism killed wildlife and the environment, but says immigrating to the USA the opposite was true —He said the Green New Deal would kill the construction industry and boating/hunting industries —Why our conservation model in America is best —Why environmental policies should be basic but limited and energy companies shouldn't be subsidized —He discusses the gun culture of the USSR vs. the gun culture of America and why the latter is better —Why we are NRA members are law-abiding and join the organization willingly—like he and Gabriella did —How an FBI agent told him he didn't know where Lithuania was when he was going through the NICS background check when purchasing our guns. —Why it’s important to get kids hooked on the Great Outdoors —Why we love Raise Em Outdoors and plan to be fishing counselors again —Why he wants to start hunting at age 64 & value of meat and pelts Learn more about him and hire him for your next remodeling project, if in the DC Metro Area, at www.BalticConstruction.net . EP 21: Post SHOT Show Recap & Interior/USFWS Social Media Accounts Are Running Again! EP 20: Bad Gun Bills Mostly Defeated in Virginia. Plus Some Good Hunting Bills. EP 13: It's #GivingTuesday: Which Groups Should Hunters, Anglers, and Gun Owners Support? In Episode 7 of District of Conservation, Gabriella recounts her recent trip to Florida, discusses National Hunting and Fishing Month proclamation, the implementation of the improved Billfish Conservation Act of 2012, both chambers of Congress passing water infrastructure bill that'll help Florida construct the EAA Reservoir, and why Sen. Kennedy (R-LA)'s No Red and Blue Banks Act will keep a check on banks that engage in social corporate policies that penalize law-abiding gun manufacturers and companies. In Episode 5 of District of Conservation, Gabriella breaks down the need to reform the ESA, discussed the Supreme Court case Weyerhaeuser v. USFWS, and several ESA reform bills - including a bill to delist the gray wolf - that passed in the House Committee on Natural Resources. In Episode 4 of District of Conservation, NRATV host Cam Edwards joins Gabriella on the show to discuss how he got his start in media, the firearms industry, how NRA members should be more invested in nuanced gun issues, why Democrats in NRA should be embraced, and how firearms proponents can work with hunters to stop the division and fight alongside one another in critical policy/cultural battles. In Episode 3, Gabriella discusses the problem with the continued halt of the managed grizzly bear hunt in the Greater Yellowstone Ecosystem; a DOI memo which gives more power to state wildlife agencies for managing regulations; and the passage of the modernization of the Pittman-Robertson Act, Restore Our Parks and Public Lands Act, and reauthorization of the Land and Water Conservation Fund in the House Natural Resources Committee. In Episode 2, Gabriella recounts her experience interviewing with Time Magazine for their upcoming gun issue due out in late October. She also discussed the ramifications of halting of the upcoming managed grizzly hunt in the Greater Yellowstone Ecosystem and why adding hunting/fishing opportunities on 30 more National Wildlife Refuges is a win for conservation-minded sportsmen. Tune in! 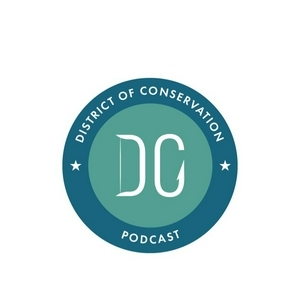 In the first episode of District of Conservation, Gabriella outlines her hopes for the podcast and three goals she hopes to achieve with it. The first goal is to inspire other urban residents to get more people outdoors; the second goal is to help tell the stories of local DMV metro conservationists; and the third goal is to offer a nuanced, well-rounded take on public policy issues affecting the conservation space.